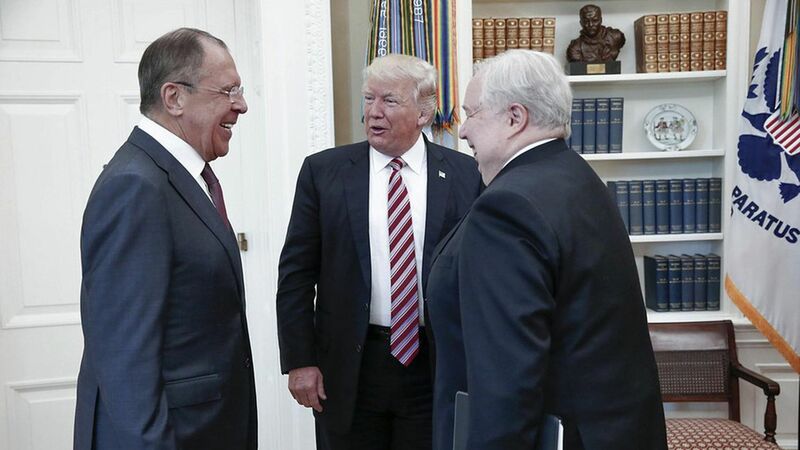 A majority of Americans disapprove of President Trump's decision to share sensitive Israeli intelligence with top Russian officials during an Oval Office meeting last week, according to a new Politico/Morning Consult poll released Friday. Why it matters: Trump's decision to divulge that information to Russia has influenced public opinion on how Trump handles classified information. While 41 percent of those surveyed said the incident has left them "not confident at all" in Trump's ability to keep the nation's secrets, 16 percent said they were "not too confident." 58 percent of those surveyed said it was "inappropriate" that Trump shared sensitive information; 22 percent sad his actions were "appropriate"; and 20 percent were undecided. 44 percent said government officials were right to leak details of the meeting to the media, and 39 percent disagreed. 52 percent said they were either "not too confident" or "not confident at all" in Trump's ability to protect the U.S. from terrorism. 50 percent disapproved of Trump's decision to fire former FBI Director James Comey after learning the president asked him to drop the investigation into Michael Flynn. 53 percent disapprove of Trump's overall performance so far, and 41 percent approve.